On the gateways that represent VoIP operators, instead, it is the PBX that authenticates itself on the operator as usual. Entering the Configuration – Gateway menu accesses the list of existing gateways. The buttons , & serve respectively to eliminate, refer to the properties of the gateway and change configurations.To create a new gateway, enter the Configuration – Gateway page and click on the button. The window for creating the gateway will appear, which depending on the type will show some fields (see below). The gateway registers on the PBX, so it is necessary to create the account as if it were a PBX user. The same data (username and password) must be specified on the hardware gateway. : varies according to the case. Enter the number of available lines calculated based on the available bandwidth in upload (each conversation with the G.729 compressed codec takes up about 20kbps, each G.711a uncompressed conversation takes up about 80kbps). If the operator places a restriction on the number of lines, set the same number, as long as it is compatible with your ADSL connection. Static: enter the phone number that you want to display on exit. NB Italian law prohibits the use of any numbers. Only numbers belonging to your telephone line are allowed. In the event of an error, the number entered will be ignored in favour of the geographical number (as in a digital Telecom line) or the call even refused (for example by VoIP operators). Specified by the caller : the output number will be that of the original caller. In the On Premises platform it implicitly indicates the output number of the extension specified in the user profile .  In the UCloud platform it is used instead to display the number of the original external calls when an incoming call is forwarded again to the outside. NB As above, the number in question must be the geographic number provided by the operator and / or attested in your account. It can also be a different number from this one, but this number will be actually displayed only if the operator used allows it. Since it is forbidden in Italy to show a different number from your own line, this option is only valid abroad in countries where this limitation does not exist. In the UCloud architecture, hardware gateways (ISDN, GSM, Analog) all require authentication as if they were a user. For this reason, it is necessary to create the account here (username and password). registration Indicates whether the gateway requires authentication or not. It is normally used for VoIP operators. Furthermore, in the UCloud architecture, all gateways (eg GSM, FXO, ISDN) require registration. Activating this option you will be asked: realm, username, password and authentication period (register timeout). Tip: set the phone number of the telephone line as username. Realm Very important for VoIP operators: it must coincide with the Realm communicated by the operator. In the event of failure to register, check the Realm column in the gateway monitoring: that represents the true expected value, taken from the PBX by the operator’s SIP reply packets. Sometimes the commercial offices of the operators account data are incorrect (among these the Realm is the most susceptible to errors). P1, P2, P3 where P1 = prefix number called, P2 = prefix to remove, P3 = prefix to add. The comma is considered as a separator, so if there is no prefix to add or remove, you don’t need to write anything but leave the comma as a separator. This function is very useful when you want to engage the gateway by prefixing the dialled number: after the call is managed by the gateway the prefix must be removed otherwise the call would be forwarded to the gateway for a non-existent number. Example: to exit with the desired operator, the user must prefix to the number to be called (eg: 510612345678). In the Advanced section of the Gateway, enter rule 51.51, (leaving the last field with the last comma as the last field). This means that calls for numbers starting with 51 will be turned into calls for numbers without the same prefix. It is also possible to make the gateway add a prefix to the numbers entered by the users because, for example, it is connected to a SIP device (eg GSM / UMTS multi-SIM gateway ) that routes calls on its resources based on a prefix. Example: the user must exit the SIM 1 of a GSM gateway transparently when calling mobile phones; the GSM gateway uses the prefix 5 to engage the SIM1 (which then removes internally). In the advanced section of the gateway, it will be necessary to insert the following string: 3 ,, 5 which indicates that to the mobile numbers (prefix 3 …), VOIspeed will add the prefix 5 and send it to the GSM gateway as 53 … The GSM gateway will, therefore, have to take care of the removal of the prefix once it has engaged the desired SIM. 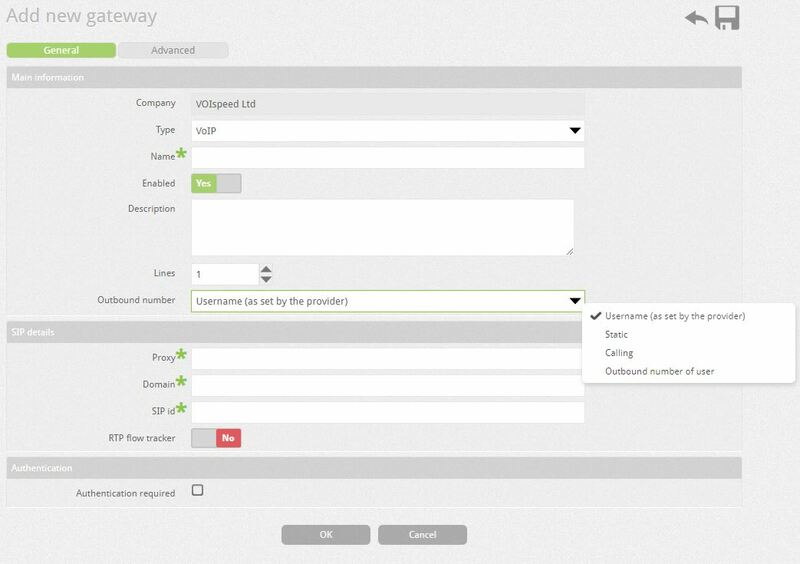 NOTE: in order for the convenience numbers to be sent to the gateway, a routing rule must also be created for that prefix, otherwise the PBX would not be able to route the call to the gateway. In fact, these rules only apply AFTER the call has been routed to the gateway itself.